After a few Craigslist searches and mishaps, Hallie Lassiter got into the front seat of a newly acquired 2003 Dodge Ram 2500 Sprinter and screamed. Depending on how you spin it, she just spent the majority of her savings to become a homeowner — or homeless. 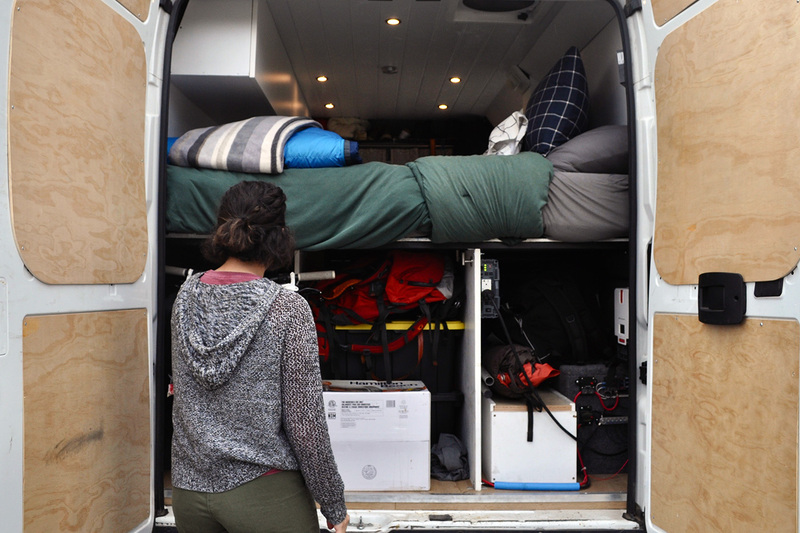 Lassiter, a pre-nursing sophomore at Cuesta College, has been living in her Dodge van since the summer of 2018. 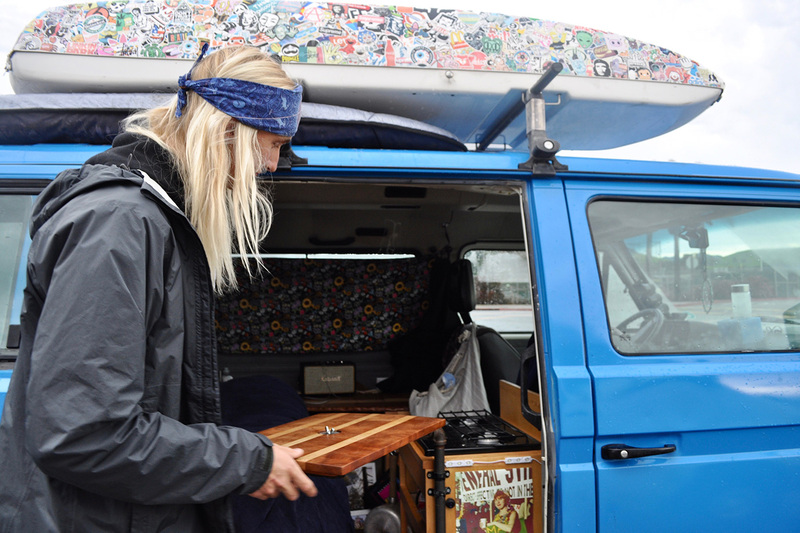 While not as common as living in an apartment or house, she is not alone in chosen vehicular living.“Van life” is an alternative lifestyle gaining traction in San Luis Obispo. To adherents, it is seen as a way to escape the city’s housing shortage and rising rents. Lassiter said she loves living in a van. After the initial purchase, it is rent-free, allows for easy weekend trips and fits her surfboard easily. However, there are challenges. During particularly cold nights, she wears multiple layers of pajamas and wraps up in a sleeping bag with three blankets to stay warm. Her only kitchen appliances are a mini fridge and a broken camping stove, limiting most of her meals to salad or cereal. She particularly notices how her privacy has decreased. Lassiter’s main concern is safety. She said she thinks the county is relatively safe, but she followed the statement by knocking twice on her van’s dashboard for luck. Lassiter usually sleeps in a private parking lot with owners accepting of the homeless community (not listed here for privacy) or in front of friends’ houses. She used to park on safe-looking residential streets, until she was woken up by a police officer’s knock. 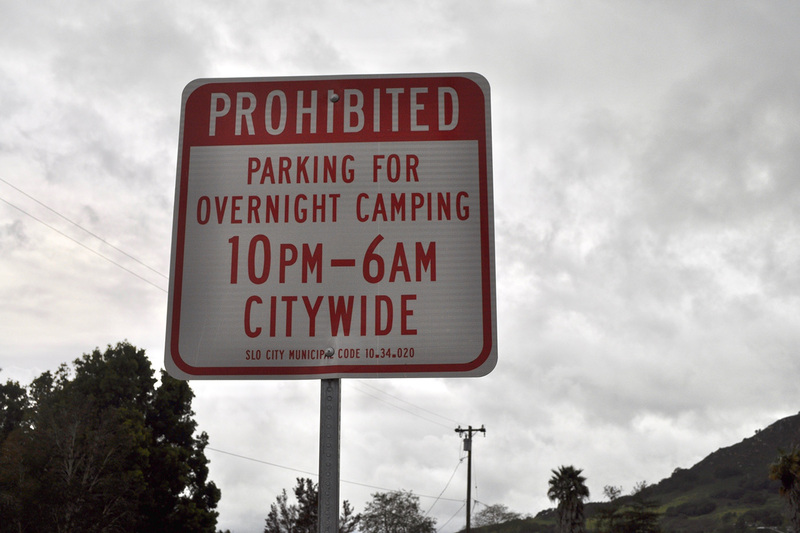 Overnight camping on city streets and parking lots is illegal in San Luis Obispo. Until 2012 it could get a person arrested, but a lawsuit and following settlement lowered its status to a parking violation. Punishable by a $100 fine, the ordinance threatens the lifestyle’s practicality and affordability in the city. San Luis Obispo has multiple warning signs posted around the city advising against overnight camping. Cal Poly architecture junior Sophie Smith sleeps in a van parked a few feet down from one of these very signs every single night. 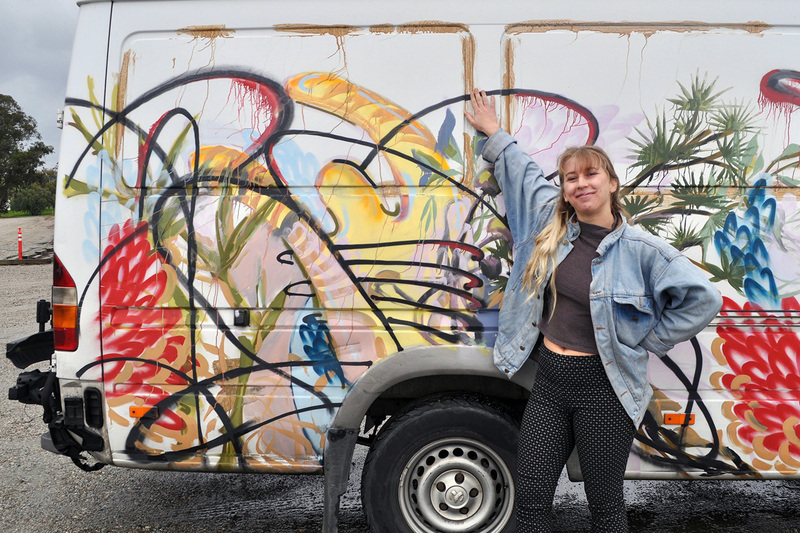 Smith has been living in her van since July 2018. She spent seven months customizing it with features like plumbing and solar, a personal project which also counted toward school credit. She said the van is nicer than the home she paid $800 a month to live in last year. Still, she worries about getting fined by police officers. San Luis Obispo Police Lieutenant Brian Amoroso cautioned against students living in vans. Community Action Partnership of San Luis Obispo (CAPSLO) has a safe parking program at the 40 Prado Homeless Services Center. The onsite seven-spot parking lot is monitored, has drive-by security and is designated by the city as a legal place to camp overnight. CAPSLO Deputy Director Grace McIntosh said the shelter is currently working with Cuesta College to reserve some spots for students in need, but said the program is designed for homeless individuals looking to move into permanent housing, not individuals choosing to live in vehicles. Riley Taft is a mechanical engineering freshman at Cuesta College who has been living in his van by choice since June 2018. When he first moved to San Luis Obispo over the summer, he was woken up by cops twice in one week. Taft said he likes the freedom living in a van gives him, but was mainly compelled to the lifestyle for financial reasons. A new California State Assembly bill proposed in Jan. 2019 would require community colleges to allow homeless students living in cars to sleep in campus parking lots overnight. Assembly Bill 302 has yet to be voted on, but Taft and Lassiter both said they think the Cuesta parking lot would be a good option for them and other students. While the bill only applies to community colleges, Cal Poly University Spokesperson Matt Lazier wrote in an email to Mustang News that the university’s Transportation and Parking Services is monitoring the proposed legislation. Campus Administrative Policy 356 currently prohibits the use of vehicles for human habitation or camping. Lazier wrote that the university supports housing-insecure students through other means, such as the Cal Poly Cares grant and emergency University Housing. Smith said she thinks many students could benefit from living in a van, as long as safety is considered.